It’s been a while!!!! I know, life has gotten in the way, but no worries, I’m back. Today I’m very excited to bring you the preview for the next top designer for Target. As you know lately Target has been teaming up with the hottest designers to bring fashion forward pieces at great low prices for you to enjoy. 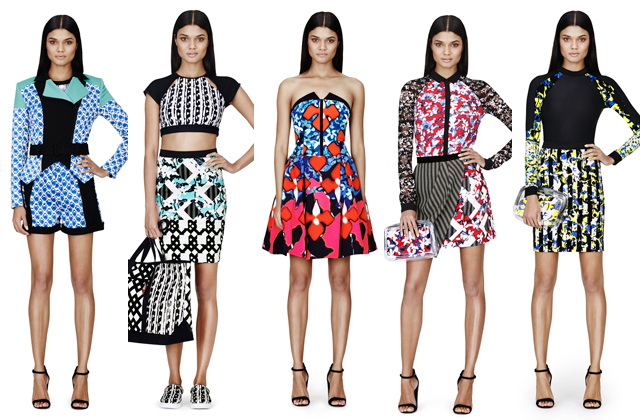 So I’m here to bring to you Target’s next collaboration: Peter Pilotto, debuting February 9, 2014. Peter Pilotto and Christopher De Vos are the designers behind the PETER PILOTTO label. Pilotto is half-Austrian, half-Italian and De Vos is half-Belgian, half-Peruvian. They met whilst studying at Antwerp’s prestigious Royal Academy of Fine Arts in the year 2000. PETER PILOTTO’s vision of womens wear embraces both new and classic perspectives on elegance. Otherworldly prints combine with soft sculptural shapes to form the handwriting of the design duo, something which evolves and is explored each season as opposed to being reactionary. This line is absolute gorgeous the strong prints and colors are to die for, this line will sure get you ready for Spring! To see the whole look book click here. Will you be wearing Peter Pilotto’s line for target??? Please comment below. Go big or go home: An eye opening tutorial!